PrairieMoonNursery | April 13, 2011 | Carex pensylvanica, Pennsylvania Sedge, also called Common Oak Sedge is difficult to grow from seed so we suggest buying plants. 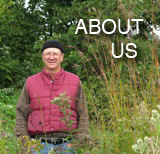 Learn more about Prairie Nursery here. May 4, 2010 — Twinleaf blooms in mid-April while the woodlands are still fairly open here at Prairie Moon Nursery in southeastern Minnesota. Jeffersonia diphylla is called “Twinleaf” for its obvious double leaves. Prairie Moon Nursery of Winona, Minn., is producing a series of videos showing off species as each displays its most prominent feature (blossoms or leaf patterns). This week we get to see four installments. Keep these cuties and beauties in mind as you compose your landscape plan. Note that Virginia Bluebells are in flower at the same time. Note that the vertical display of Pussytoes is rather unusual. They can often be found in low fields and sometimes even surviving in lawns. Remember, to view videos at best resolution, switch up the 360p default to 480p. 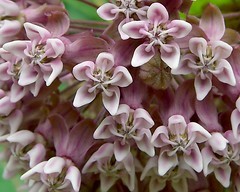 And, as always, please garden with plants that are locally native to where you live.